The three-day event at the newly redesigned 1200m South Garda track began with Gangi Jr. starting 22nd in a field of 40 drivers. Three heats then ensued for Anthony Gangi Jr., with results of 16th, 11th and 17th putting him 13th on the grid for the prefinal race. 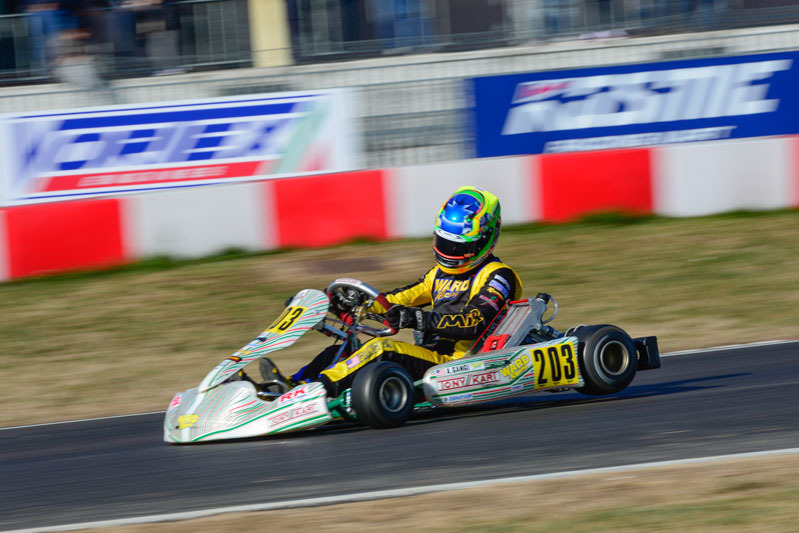 In good position to further advance for the final, Gangi Jr. made contact with another kart in the prefinal, which put him back to 24th in the field of 32 karts. Undeterred, the Ward Racing/Tony Kart pilot drove back to finish 14th in the final race and was one of the biggest movers in his division – OK Senior. Next on the schedule for Anthony Gangi Jr. is the first round of the WSK Super Master Series, set for March 2-4 in Castelletto, Italy.